Anne McNally, VP and head of North America PR at State Street, had two reactions when she saw early mock-ups of Fearless Girl in December last year. One was emotional; the other, professional. McNally says first she was moved. In that symbol, produced by ad firm McCann and sculptor Kristen Visbal, she saw the faces of all the women on her team who are "confident, young, and successful." "That was my gut reaction," McNally says. "My second reaction was," she adds, her voice picking up speed, "I have to map out the risks associated with this campaign as a comms professional." Through this anecdote, McNally describes comms at one of the world’s largest financial services companies as a PR messaging hybrid of both "rational" and "emotional." It’s the same approach that State Street Global Advisors (SSGA), State Street’s asset-management business, used to unveil Fearless Girl. While she was looking at early renderings before its unveiling, McNally wondered: What universal emotional messages will resonate with everyone when they see it? What will be their gut reaction? "In terms of PR strategy, you need equal parts creativity and control," McNally says. "We’re highly regulated. We didn’t want anything to be misconstrued or to seem disingenuous." Less than four months later, Fearless Girl appeared, unannounced, in the heart of New York City’s famed Financial District, opposite Charging Bull. Its sudden arrival on the eve of International Women’s Day 2017 (March 8) muted Wall Street’s roar. It drew adoration, selfies, and mockery as it provoked, offended, and inspired in serene self-confidence. Fearless Girl put the 225-year-old State Street brand in a whole new perspective, for better or for worse. McNally started at State Street in late 2011 while the financial sector languished in reputational purgatory in the shadow of the Great Recession. McNally calls that financial crisis "an inflection point." If the economic meltdown swept in a host of reforms, the public’s persisting fear and anger forced financial institutions to rethink their comms strategies. "When I joined, the firm’s PR was more reactive and its proactive muscles weren’t as developed," McNally says. "Since then, we’ve grown that proactive approach to PR. You earn the right to grow." Over time, McNally learned. Today she’s senior leader of the PR team, responsible for reputation management, media relations, and integrated promotions across all four State Street divisions. The new approach brokered a huge spike in State Street coverage. Data provided by the firm indicates more than 1,200 interviews were conducted in 2016. By the end of last year, coverage of State Street had increased by 140% more than its closest competitor’s. While State Street honors its long heritage as a 225-year-old brand, it has also experimented across all media for effective storytelling. Through the years it has partnered with TED Talks to cover issues outside its usual sphere. For example, Morgana Bailey (pictured below), then VP of human resources, revealed she is gay during a talk about the dangers of hiding who you are. The brand also used emojis to explain block­chains and rolled out Listen, a blog tackling the news of the day with jargon-free language. In early December 2016, McNally was invited to a meeting hosted by SSGA CMO Stephen Tisdalle and John Brockelman, SSGA’s global head of marketing and comms. That meeting included two of her superiors, Carolyn Cichon, global head of communications and reputation management, and CMO Hannah Grove. Tisdalle and Brockelman had a big idea. And they needed comms’ help. Since the March 2016 launch of the SSGA Gender Diversity Index ETF (Ticker: SHE), an exchange traded fund invested in shares of companies that promote women to senior leadership positions and on boards, the company had kicked around the idea of making "a broader, bigger, bolder statement" that was about more than SHE, McNally says. SSGA, which has $2.5 trillion in assets under management, wanted the statement to encompass its own internal gender diversity initiatives and its asset-stewardship initiative, "which works to ensure diverse, independent, effective boards to create sustainable performance," McNally explains. That idea became Fearless Girl, which Tisdalle and Brockelman introduced in that December meeting. Shortly thereafter, McNally and her team went to work on messaging, media relations, and mapping out opportunities and reputational risks ranging from political to environmental to authenticity issues. 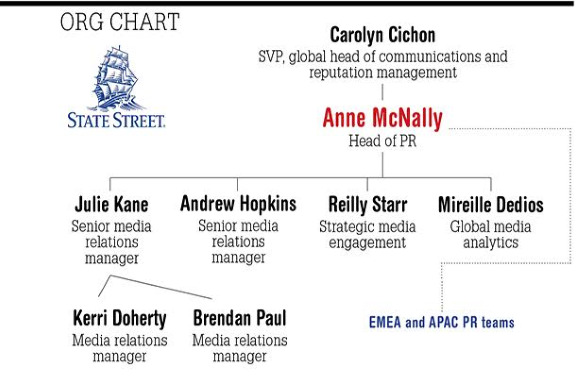 "But that wasn’t just the PR team — it was all teams: advertising, creative, legal, the rest of comms, investment, and the executive team," McNally says. For comms support, the company also activated its PR agencies, including Ogilvy, Water & Wall, Joele Frank, and River Communications. "The SHE campaign asked investors to use their capital to create change by investing in it," McNally says. "Fearless Girl was about State Street stewarding the capital we manage to create change." After Fearless Girl dropped, the reaction was swift. In the hours and days after launch, it seemed to redirect all attention in a city already peppered with historic sites. It created an orbit all its own. Thousands of stories featuring the statue cropped up across media from print to broadcast, generating billions of impressions on Twitter and hundreds of millions more on Instagram, according to firm data. State Street eclipsed the competition. It achieved a 64% share of voice in tier-one to tier-three publications, almost doubling its annual average of 33%. There was also a 650% increase in @State­Street Twitter handle impressions versus the monthly average and a 90% increase in views of SSGA.com. Fearless Girl opened a dialogue with State Street’s current clients while introducing the brand to a new set of stakeholders, said Brockelman via email. "We are starting to see the benefits already," he add­ed, "from new talent wanting to join our organization because of what we stand for to people asking their advisers to help them invest with us." 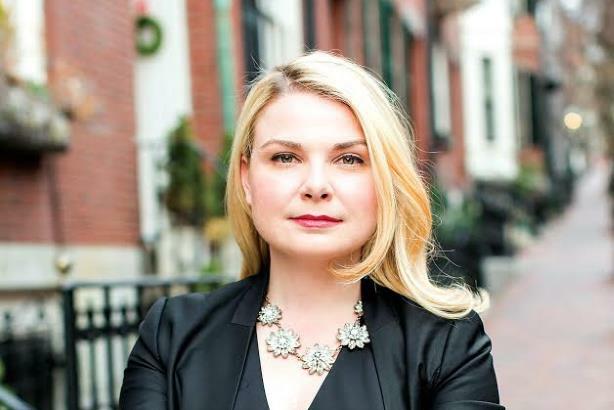 McNally says she received an email from someone describing what it was like being the first woman bond trader at First Boston during the ’70s and ’80s: "I was a fearless girl and I love your Fearless Girl." Despite the pains State Street took to make Fear­less Girl apolitical, conservatives trashed it. Trump sup­porters trolled it with #MAGA attire, while some liberals took umbrage at its seeming "false feminism." Even more criticism was directed at State Street’s own disparity in gender diversity. But the company responded with openness rather than defensiveness. Management’s message, McNally says, was clear. "We are not saying we’re a shining example," she admits. 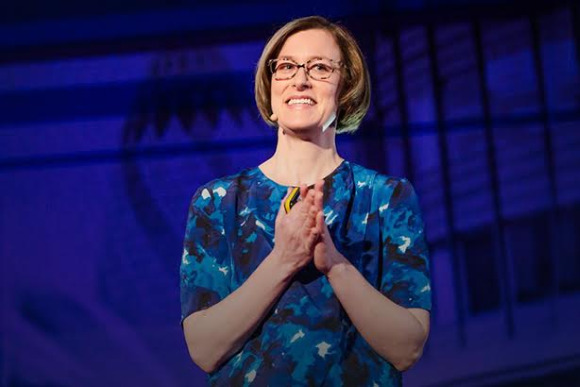 "This is about what we can do to impact change. We shouldn’t let striving for perfection and equality be the enemy of doing good now." But the biggest vulnerability State Street faced was having Fearless Girl seen as a "shtick or stunt," McNally says. Many on social media bristled at the statue’s clever advertisement — a plaque at her feet (now removed) that read: "Know the power of women in leadership. SHE makes a difference." Arturo Di Modica, Charging Bull’s sculptor, railed against Fearless Girl for turning his iconic work, purporting to represent "the strength and power of the American people," into a symbol of patriarchy. McNally admits there was a product tie-in, but remains unbowed by the controversy. She invites detractors and critics to have a constructive discussion with her and her team. "Creating dialogue, even controversial dialogue, is how things get changed." On the day Fearless Girl dropped, SSGA called on the 3,500 companies it invests in to increase their boards’ gender diversity. It promised to "use proxy voting power to influence change — voting against the chair of the board’s nominating and/or governance committee if necessary." State Street’s message of change trickles down from executive leadership. 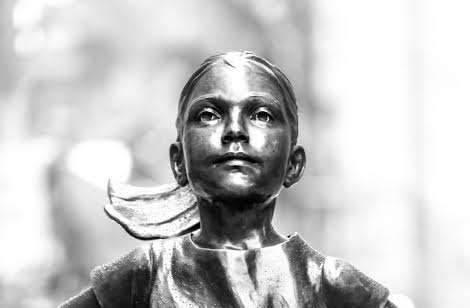 McNally says SSGA CEO Ronald O’Hanley gave the Fearless Girl campaign an almost-immediate nod. More broadly, beyond one campaign, the company seeks to transform into "an agile financial platform with technology at its core" while leveraging its "inherent advantage in big data," according to State Street CEO Joseph (?Jay) Hooley. The initiative leading that change is Project Beacon, a cost-cutting effort that will digitize company oper­ations, reduce redundancies, and create $550 million in savings over the next five years. State Street has made a series of layoffs, with hundreds of employees expected to be laid off within the next three years. "Fifty years from now what’s written about this era won’t be about the financial crisis," Hooley has been quoted as saying. Rather, "it will be about how technology revolutionized the financial system." That’s an optimistic viewpoint considering continuing controversies and the populist sentiment that drove the 2016 election. State Street itself has run into reputational headwinds. Just last year it agreed to pay $530 million to resolve fraud claims relating to its indirect foreign exchange business. Still, finance services saw an increase of 6% in public trust in this year’s Edelman Trust Barometer, bringing comms’ place on Wall Street into sharper focus. "When you look at financial services companies, a lot of them will roll out a cost-cutting initiative they give a name to," McNally says. "We wanted to be very clear our Beacon program was not only about cutting costs, but truly digitizing our company." McNally adds Beacon will help streamline the myriad processes by which 15% to 20% of the world’s assets come in and out of State Street, saying it will ultimately benefit all parties — even employees. "The more straight-through that process can be," McNally adds, "the more completely digitized that process can be, the faster we can move and the more value we can bring to clients and the better kind of jobs we can give our employees." While gains in trust for the sector were "undoubtedly colored by positive regulatory steps made in the last year," the study concludes that comms infused with social purpose can help close the trust gap. As a whole, State Street has some 15% to 20% of the world’s tradable assets ($28 trillion) under custody. That responsibility frames the conversation around its institutional purpose, McNally says, and means comms is about more than pitching products. "We’re talking about people’s retirements and their ability to save money to send their kids to college," McNally says. "Thinking about the investors at the end of the equation helps close the trust gap." "Fearless Girl is a strong component of what we’re already focused on," she adds. "It’s a lovely inflection point in terms of what finance and a big brand can do and say to really have meaning." Anne McNally lived in New York, New Jersey, Pennsylvania, and North Carolina — as well as in England and Spain — before settling down in Boston, where she has lived for nearly 10 years. She’s a passionate runner, having completed marathons in San Francisco and Chicago, several Boston half marathons, and four Tough Mudders. A traveler at heart, she’s planning trips to San Francisco, Los Angeles, and Greece. When she’s not working, McNally can be found walking throughout Boston with her two dogs, Madaket and Marley, or cooking for friends at her home in Roslindale.